After a long day of snowshoeing, walking around Kilby Historic Site and travelling from Vancouver, the only thing I wanted to do was to rest and take a nap. 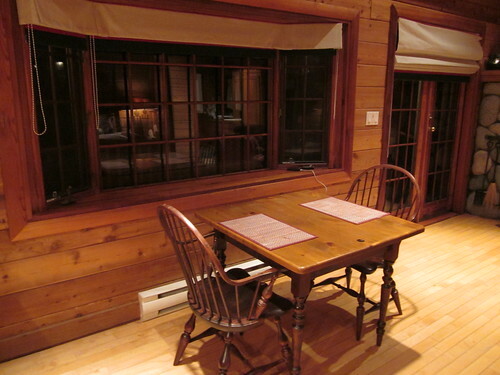 So the first thing I thought when I got into my cabin at Rowena’s Inn on the River (in Harrison Mills, just about 1.5 hours away from Vancouver) was “wow… this is where I want to write my book!”. I felt… home. 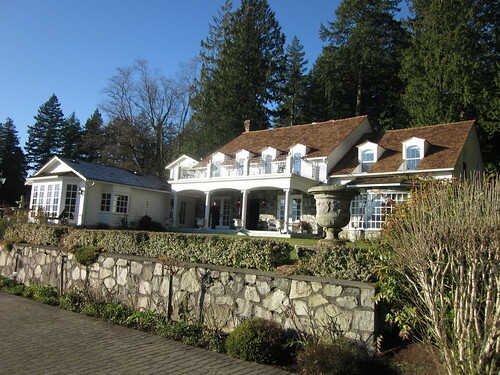 Rowena’s Inn on the River is a place filled with BC history. Charles Nelson Pretty and Rowena Elizabeth Peters were married October 10, 1917. Charles and Rowena had 4 children; Charles Watson born February 3, Rowena Charlotte born March 1 , James Ivan born June 12 and Elizabeth Anne (known as Betty Anne) born March 19. The only survivor from the family is Betty Anne, and she is still at the helm of Rowena’s Inn on the River. An amazing, vibrant, strong and sweet lady. 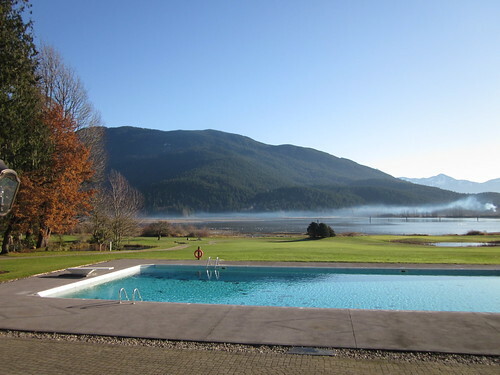 Nestled in a centuries-old forest of Douglas Firs and surrounded by the West’s most idyllic golf course, Rowena’s is the perfect escape. Here, indulgence is a way of life. You’ll find it in the tasteful tranquility that surrounds you and feel it in the attentive service that sets us apart. Make our historic Inn your own. Styled as a grand English manor house and secluded on a lush 160-acre estate complete with its own private air strip, Rowena’s evokes an atmosphere of understated elegance and traditional luxury. 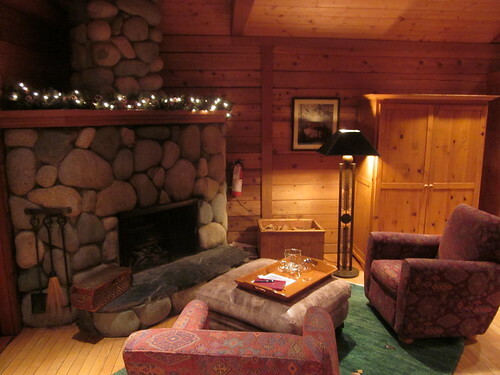 Laze in the coziness of a room in the Inn, or escape to the luxury of a chalet style cottage in the forest with its own stone fireplace & porch. Savour our unique West Coast cuisine and share cocktails on the lawn or poolside. Challenge your game at Sandpiper Golf Club, or surrender to an afternoon of aromatherapy with our visiting masseuse. My cabin (“Nelson”) was already prepared. Knowing the obsessive, workaholic life pattern I have, I’m delighted that Rowena’s Inn on the River doesn’t have TVs in their cabins. But, do you really need TV when you have such peaceful environment? Also, did I mention that the bathroom in my cabin had a jacuzzi? Yeah. THAT. I had my own pond, right outside my deck. The next morning, when I woke up, I started the coffee maker, sat down by the window and let the sun rays shine through my cabin. Absolute bliss. After breakfast, I hopped over to my good friend Cheryl Mackinnon and her husband Bob’s cabin. Cheryl is one of my very good friends and a mentor in the travel writing world. We travel together really well (same as with Cassandra Anderton, another close friend of mine). 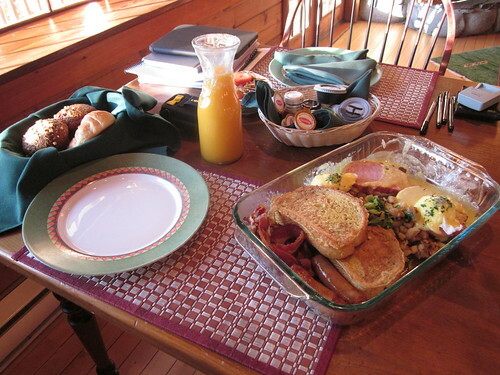 And breakfast was enough food for me and about 4 other individuals. Seriously! While it was too cold to enjoy the pool, I’m sure over the summer this is totally delightful. 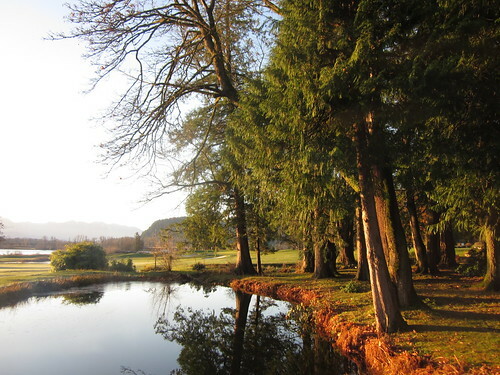 I know for a fact it is because my good friend Karen Hamilton visited in 2010 (summer) and she wrote about Rowena’s (and also thoroughly enjoyed it). You can check her Flickr photo set here. And the architecture is simply exquisite. In many ways, when I walked through the main Inn, it reminded me a lot of the kind of furniture and architecture that my parents like. Very European. 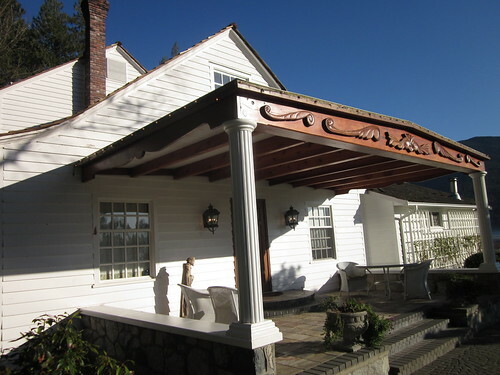 My visit to Rowena’s Inn on the River was amazing, and it’s the kind of getaway I needed, even if only for 24 hours. 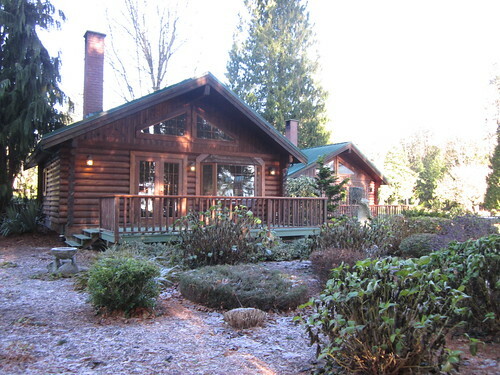 It’s right in the backyard of Vancouver (1.5 hours drive with traffic), and it’s completely and totally self-contained. Really, once you arrive to Rowena’s Inn, you really don’t need anything else. All you need to do is relax and take it easy. I will definitely be back. You can check the rest of my Flickr photo set here. 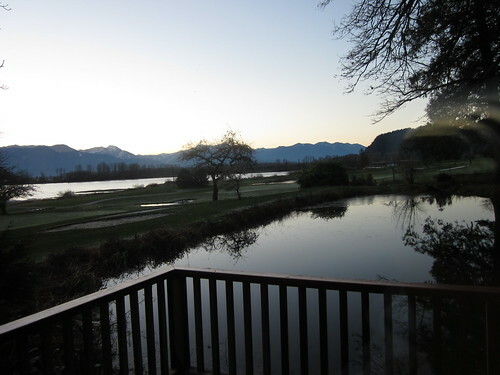 Disclosure: I was invited to stay over at Rowena’s Inn on the River and have dinner and breakfast there as part of a familiarization tour for Christmas in Harrison Mills 2012. My travel to and from Harrison Mills was covered as part of the media tour. 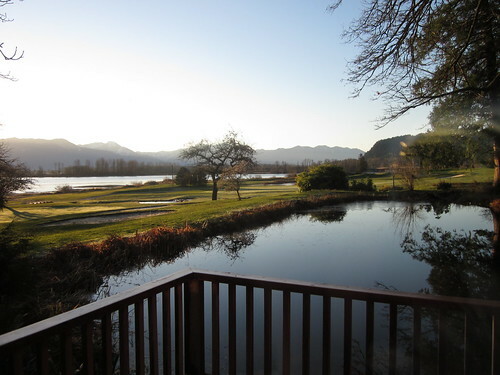 This post was neither paid for nor expected, but I do think that Rowena’s Inn on the River is an excellent place for a local getaway and so do many people who wrote about this place (I did my research!) As always, all views are mine, and I retain editorial control on anything I publish on my site. Thanks for sharing. Raul. I am always looking for romantic getaways around Vancouver. Are there places to go for dinner or lunch in the area? And does the inn has a sauna or hot-tub? There is a restaurant on site, Lili (and it’s delicious). Within 10-15 minutes of Rowena’s Inn you can find other restaurants (near Mission/Abbottsford). Not a bad spot, and this is definitely a romantic getaway. 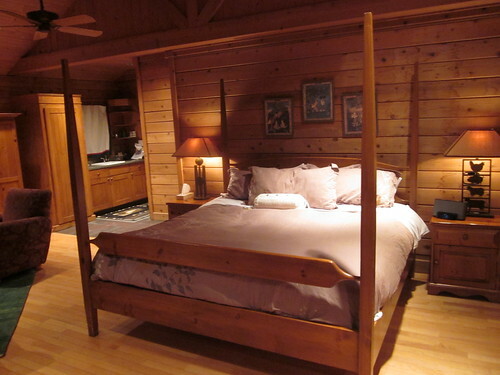 And yes, the inn does have hot tubs in each of the cabins.